From the many young achievers at SDF, we have traced the journeys of 23 students. From the many young achievers at SDF, we have traced the journeys of 23 students. Picked at random, these are inspiring stories of bright students who have risen to achieve great success. SDF continues to support many more such students. Senior Designer Engineer, EMET ControlsNashik, Maharashtra. I laud the effort put in by the Sarojini Damodaran Foundation. Children of our martyrs deserve love and respect of the nation. They are our future and their education is of paramount importance. The Ministry of Home Affairs is extremely pleased to partner with the Sarojini Damodaran Foundation for the Vidya Rakshak program. Susmitha was brought up in Thaneermukkom, a small village in Alappuzha. Her father is a driver and her mother, a trailor. Susmitha harboured a strong inclination towards being a nurse, right from her childhood. 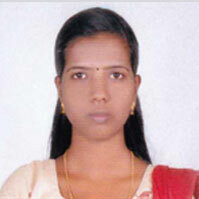 An intelligent student, she secured first in the SSLC exam and got admitted into the SDF scholarship program. 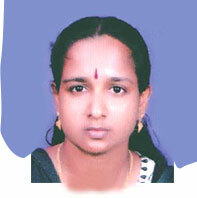 She studied B.Sc Nursing at K.V.M College of Nursing in Cherthala and passed with First Class. "I also took part in all the self-help programs Conducted by SDF. It provided me better guidelines for not only my academic life but also for my personal life. The scholarship gave my family and a lot of hope. It gave me directive to set my goals," she says. Susmitha could not contain her excitement when her childhood dream of becomming a nurse materialized. She now works as a Staff Nurse in an 1800-bedded NABH accredited hospital in Kochi. 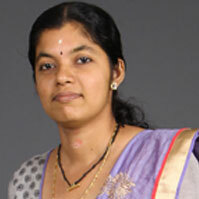 Susmitha has worked on a myriad of social projects including anti-tobbaco day awareness programs, exhibitions on monsoon disease and research on prevention of home accidenets among toddlers. Her educational background has jolted her to pursue future goals with vigour. 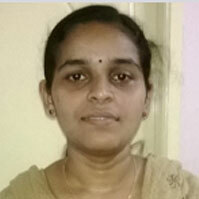 Through her professional expertise, Susmitha hopes to help many people and later complete he higher studies in Nursing. Binoy always knew that he wanted to pursue the field of medicine. His father was a porter at a railway station and the family has little to live with. A bright student fond of reading books and playing football, Binoy completed his MBBS course successfully under a government merit quota. With the help of SDF scholarship, a porter’s son was able to pursue his life’s ambition. 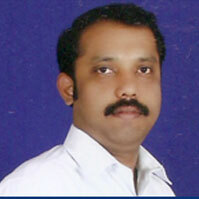 He is presently working as an Assistant Insurance Medical Officer at ESI Hospital, Alappuzha. He is also part of the medical team at Mehac Foundation , a palliative care unit for psychiatric patients. 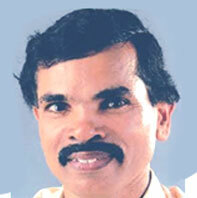 Jibin was born and raised in Punnamada, a small town in Alappuzha. His father was a salesman at a medical store and his mother, a house wife. After completing XII standard. 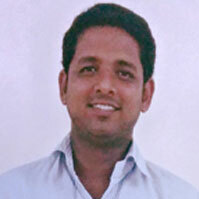 Jibin pursued a Diploma in Mechanical Engineering from Carmel Polytechnic College, Punnapara. 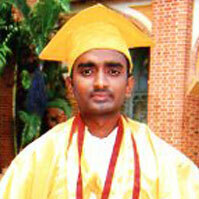 He passed out with a 90% aggregate and acquired the third rank in Kerala state. 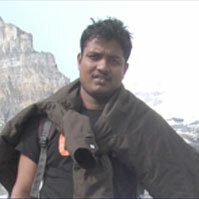 With a strong penchant for innovative design engineering , Jibin worked on a unique project in college. Along with a group, Jibin developed a refrigerator, ie the oven. They are still using it in the college,” he says excitedly. Jibin continues to work on a lot of new projects that include the design and development of control valves.” Endlessly hungry for ambition, Jibin has completed courses on four different design and analysis software. One of the most memorable moments of his life was when he got selected out of 2000 candidates at an interview conducted by Wipro, Kochi. “ I want to build a successful career and help my family. I also want to help the needy just like SDF did. The scholarship really inspired and motivated all of us to do good in our life and make something out of ourselves.” Jibin is also pursuing a degree in Engineering and has two semesters to complete. From a difficult childhood fraught with financial burdens, Preethy has come a long way modest upbringing in a small town in Alappuzha, Preethy now is gradually ascending the corporate ladder and has an illustrious list of clientele under her purview. 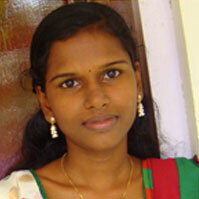 After completing X standard , Preethy’s parents could not afford to finance her studies. Her brilliant scores earned her an SDF scholarship and she successfully completed her B.Tech in Electronics and Communication. Preethy is now a qualified senior software engineer with over 3.5 years of experience in an MNC in development, design , client relations and team coordination in the IT Sector. She also holds significant expertise in the Banking domain. In a nutshell, Preethy’s responsibilities include coordinating with high-profile corporate clients, understanding their requirements, forging good relations,providing rechnical support, contributing towards phases and training subordinates. Ask Vaisakh about his childhood and he smiles impishly. “ I was a very naughty child . I loved running about and exploring new things. I used to participate in many singing competitions.”. Vaisakh hails from a middle class family in Alappuzha. Believe it or not , one of Vaisakh Biggest challenges was studying Hindi in Standard V. However , when he graduated to standard to VI standard, he obtained the highest score. “ The second challenge I faced was the Engineering entrance exam. At the end, I managed to get a good rank and a merit seat.”. Right from his childhood, Vaisakh exhibited a keen interest in mathematics and physics. He recalls receiving the SDF scholarship as the turning point in his life. This prompted him to pursue engineering as a career. He completed B.Tech in Computer Science Engineering. “ During the final year , we did a project called E-Classroom where anyone could take class from around the world using video conferencing. It also enabled students to download the study materials through a web application.”. 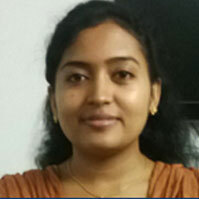 Vaisakh is currently working as a System Engineer at Tata Consultancy Service. He is part of Development, Maintenance and Production support team. He has developed enhancements for applications, fixed defects in applications and solved technical issues..
Born in Panavally , Alappuzha, Veena’s Mother is a Mahila Pradhan agent and her father expired when she was a small child. After the death of her father, Veena and her mother moved to a joint family comprising ten members. Th entire family depended on the financial support of her uncle who worked at a spice factory. With five children to educate in the joint family, Veena finished her schooling with a lot of financial difficulty. 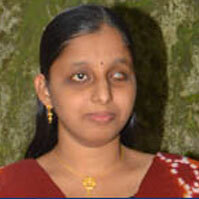 She passed out the Kerala Engineering Entrance Exam and got admission in an engineering college. However, she could not afford the four-year course and hostel fee. After hearing about theSDF scholarship from one of her teachers. 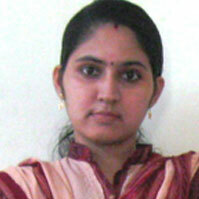 Veena applied and got selected, “ I felt that this was a blessing from God that showed me the way to a bright future. After the SDF scholarship, I never had to worry about financial support and could focus completely on my studies,” she says. Armed with a will to succeed , Veena completed her M.Tech from IIT,Madras and was the topper in the Geotechnical Engineering Division. Arun plans on doing his post graduation in general medicine or any other relevant field and to become a good professional. “I am sure that the Sarojini Damodaran Foundation will continue to reach more talented students and remind them that nothing is impossible as long as you have a strong will to succeed. Vidya was born in Punnapara, small town in Alappuzha. Her father is a farmer and her mother got paralyzed due to Poliomyelitis, a deadly disease that attacks the nervous system. Aside from helping out around the house and looking after her mother, Vidya managed to balance her education side by side. With financial assistance from the SDF scholarship, Vidya completed a B.Tech in Computer Science and a Diploma in Computer hardware maintenance. “ One of my most interesting projects was a SAP implementation project that I worked on for the establishment of Nokia’s luxury mobile, Vertu.” When she’s not working or studying , Vidya loves listen to music or cook. Being the only one in his entire family to receive a formal education serves as a constant motivational factor for Abhilash to achieve greater success. His father runs a modest stationery shop in Kollam and his mother is a homemaker. 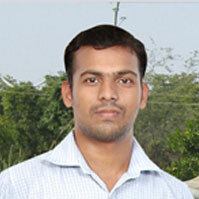 His brilliant scores gained him access to the SDF scholarship and he completed his MBBS degree. He has been instrumental in conducting medical relief camps at various stations and is an active participant in health-related activities for the public. “One instance I will never forget is when I volunteered to do service as a doctor at a rural area. In that particular area, it was common for people to be in relief camps every monsoon. The greatest achievement is when you realize that the real joy in life comes not when you are paid a huge salary but when a mother thanks you for curing her child.” Abhilash’s future plans include working towards creating awareness regarding drug-resistant tuberculosis and its treatment. Gauthamen was born in a small town called Rajapalyam in Tamil Nadu. Due to job-related difficulties his family kept moving. Fiercely protective, his parents shielded him from all of life’s tribulations. With just Rupees 5 in his pocket, Gauthamen’s father moved house to Alappuzha in search of a job. “My father faced a lot of challenges to educate me. Despite being a B.com graduate, he did many odd jobs to earn some extra money. I still remember the time he returned to work just seven days after undergoing a major surgery for gastric ulcers”. After finishing his schooling, Gauthamen managed to secure a good score in the medical entrance exam but family had no idea how to meet the expense. Even the government fee was a huge amount for them. 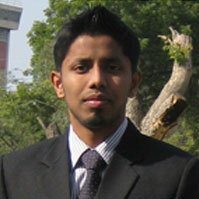 Gauthamen completed his MBBS with the help of SDF scholarship and subsequently did an MD in Pediatrics. “SDF has helped so many of us without expecting anything in return. This is the most divine deed”. 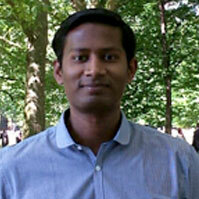 Gauthamen is currently a Fellow in Neonatal Medicine at John Radcliffe Hospital, Oxford School of Pediatrics, Oxford. His medical projects include research on cognitive functions in children with sickle cell anemia, autonomic dysreflexia and autistic features in children with Chediak – Higashi syndrome. Gauthamen is hopeful of doing some path breaking research work at Oxford. For Sanu, life changed because of a newspaper article. Sanu’s father was an electrician and his mother, a home maker. Although Sanu’s family supported him in all possible ways, they simply could not provide enough for three children. When he was in school, Sanu would use blank pages from the previous year’s notebooks stitched together as a new notebook for the academic year. He did not have electricity or a proper desk at home. All that changed when his mother came across an article about SDF in the newspaper. She wrote to the trust and ever since then, Sanu received scholarships for higher secondary and college education. “ SDF even bought me my first bicycle! “ Financial problem never affected his studies thereafter and his family didn’t have to worry about expenses again. 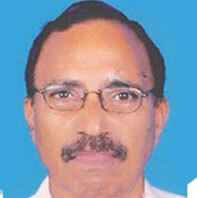 Right form his childhood, Krishnakumar exhibited a keen interest in sea life. After waiting for 13 long years, his parents conceived him. Krishnakumar went through a drastic childhood experiencing both extreme wealth and poverty. 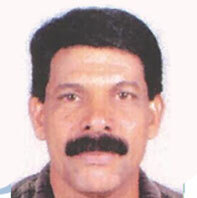 Krishnakumar coordinated the River Fish Monitoring conducted by Kerala State Biodiversity Board in six major rivers. “ I have been part of the first effort in India to remove an exotic fish, the African Catfish, causing damage to the native fish in Periyar Tiger Reserve in Kerala. We received wide appreciation for the same.” Krishnakumar recently attended the CLP Conservation Management and Leadership Training Workshop held at Barrier Lake Filed Station University of Alberta, Canada. 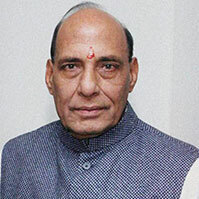 He acquired a grant of Rupees 30 lakhs from funding agencies and also discovered two new fish in Kerala. Krishnakumar wishes to continue his career as a Conservation Biologist, protecting the native flora and fauna without affecting the livelihood of the dependent communities. Nithin realised from a very young age that his family was suffering financially. “ I didn’t want to be a burden on my parents. My friends helped me by lending their books and that’s how I used to study.” With the assistance of SDF scholarship, Nithin is now completing his M.E( Mechanical Engineering) at BITS Pilani, Pilani campus. Nithin put his knowledge to good use for society by designing and fabricating a low electric wheelchair. His other projects include FEM analysis of abrasive jet machining, winglet analysis using CFD techniques and studying the transient radiative heating characteristics of slabs in a reheating furnace. A bright student, Nithin sailed through the educational stages of his life securing the highest rank in Standard X and 3rd rank in Mechanical Engineering in CUSAT University. “ I belong to a below poverty line family and live in a rented house in Alappuzha. My father is a daily wage labourer and my mother is a home maker.” Muneer participated in elocutions, ey writing and debate competitions during his schooling. He was awarded the Ideal Student among all schools in the Alappuzha district. “It was very difficult to focus on studies with the ever rising educational and accommodation expenses. After going through my academic records and certificates, T was granted a scholarship from SDF. I would never have been able to pursue my post- graduation in a metro city without the financial aid provided. 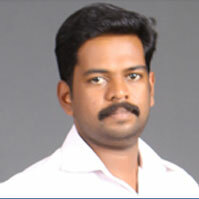 Kannan NairSenior System Engineer, Infosys Ltd.
Kannan Divakaran Nair was born in Thanneermukkom, a small village on the banks of the Vembanadu Lake. His father is a coir factory worker and his mother, a housewife. An enthusiastic child, Kannan was an active participant in extracurricular activities and participated in National Level Children’s Science Congress. 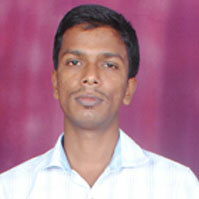 He also scored the 754th rank in the Kerala Engineering Entrance exam. Kannnan was keen on pursuing engineering but his sister’s marriage left family in dire financial straits. 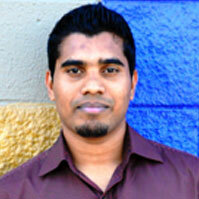 After hearing about SDF from a few people, Kannan went on to apply for the scholarship program and got selected. 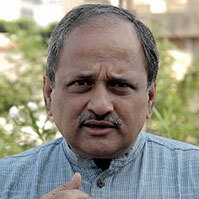 He completed his B.Tech degree in Electronics and Communication Engineering with Distinction. 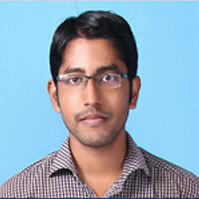 He got through the campus selection and was subsequently placed at Infosys. He played an important role in Integrating Windows Communication Foundation with legacy systems and integrating hardware with legacy applications. Kannan believes that his greatest achievement was providing a better living environment and peace for his parents who struggled a lot to educate him. 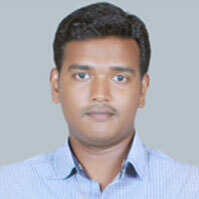 This August , Kannan will complete a successful three years’s as a Senior Systems Engineer. He strongly believes in the maxim, “ Helping hands are better than praying lips” and is working towards giving back to the needy. Vahib hails from Puthenchira , a village in Thrissur. His father is a mason, organic farmer and environmental activist. His mother has been an Anganvadi teacher for 28 years. Both his parents instilled in him a strong educational foundation, right from his childhood. When Vahib joined B.Tech in GEC Thrissur, his family was earning just enough to manage their daily expenses. Vahib was forced to take educational loans to pursue higher studies. “ The scholarship scheme from SDF came at the right time. It really boosted my confidence. It helped me to be self-sufficient and not burden my family. I was able to concentrate fully on my studies and not worry about money,” he says. Anuradha was born near the Kalarkode Mahadevan temple in Alappuzha. Her father was an auto rickshaw driver and her mother worked in local Anganvadi. As Anuradha’s parents were working full time, her grandmother and uncle raised her. She was keen participant in school cultural activities and exhibited great leadership qualities. These characteristics made her the class representative for consective academic years. During Standard X , Anuradha was suddenly caught in the middle of a conflict between her headmaster and teacher. A victim of this clash, Anuradha was prevented from attending tuition classes. “ Apart from these untoward incidents, I faced a lot of financial difficulty. Like every middle class family, I suffered a lot to pay the school fees. 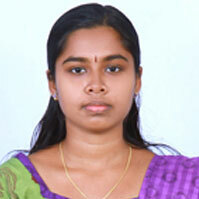 The SDF scholarship was of great support to my parents,” says Anuradha. She went on to complete her graduation and post graduation in Computer Applications. She is currently working on a project for a German client and is undergoing training in the German language. Anuradha hopes to rise to greater heights in the IT field and help her parents and all those who supported her during her difficult childhood. 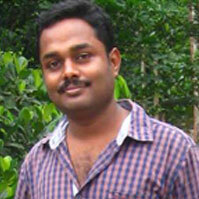 Rajesh lived in a small town in Alappuzha throughout his childhood. Brought up in a typical middle class setting has truly made Rajesh appreciate every little thing that life has blessed him with. His father is a salesman in a small jewellery shop and his mother is a housewife. Rajesh was caught in a perennial struggle to land a steady job. Being uneducated, his parents were unable to advice him about further studies and career options. Only after completing his tenth standard did Rajesh find out about engineering exams. 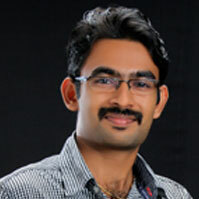 He aced the entrance test, got admitted into Kerala’s top engineering college and subsequently got placed in an IT firm. He is presently the Quality In Charge – Projects of GE Water and Process Technologies. “ We recently developed a Micro Biological Reactor Skid, an export Dubai project. It was a great success .” Rajesh’s goal is to be in a top position in a petroleum-based company and complete his Master’s degree abroad. “Every time I think of all the hardships faced in my life, I realise that it is education I received that makes me feel proud of myself and keeps my head held high. Education has made it possible for me to achieve my dreams and will keep me charged for the future. I hope that many more like me are recipients of SDF’s scholarships and can look forward to a bright future,” says Rajesh. Born in Alappuzha, Saranya was a just a one-year-old baby when her father abandoned the family. Her mother, a daily wage labourer, shifted along with Saranya to her brother's house. Throughout her childhood, Saranya's mother struggled to make ends meet. "My mother sacrificed a lot to educate me. We were burdened by financial problems," she says. "SDF changed my life right from secondary school. At the beginning I considered it only as financial support. Later, their soft skill development classes and sessions really changed my personality. Today, I have a lot of friends and support systems from the SDF family." saranya believes that anything is possible with hardwork and sincerity. "My first achievement was when I got A+ in SSLC. That grade helped me get the SDF scholarship. I was able to complete my graduation in Electronics & Communication Engineering, which in turn helped me land a good job at Union Bank of India, "she says. "My most important goal for the future is to set aside a part of my income towards helping underprivileged people. I also dream about building a home and having a family." Right from an early age, Rahul was certain that he was meant for big things. He was born to a simple family. His father was a farmer and his mother, a homemaker. Academic brilliance throughout school and being part of clubs and extracurricular activities was a major part of his schooling. Brimming with enthusiasm, Rahul was in the Student Council, participated in dramas, volunteered at technical fests and conducted soft skill development programs. The SDF scholarship assisted him in pursuing a B.Tech in Electronics and Communication Engineering where he dabbled in interesting projects. “I worked on a digital clock with alarm & temperaturesensors. I also developed a cryogenic level sensor for detecting the amount of fuel remaining in re-generatively cooled cryogenic engines. 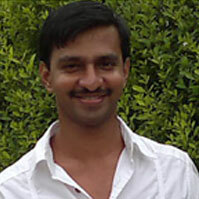 Rahul currently works as a System Engineer at Infosys. He is well equipped with technical knowledge including java programming, VHDL programming and simulation and PIC programming. He has made lasting friends from the SDF community. His dream is to complete his post-graduation degree from reputed institution. Beena’s world fell apart when her husband returned from Gulf with paralysis. From a homemaker she had to take the responsibility of being the breadwinner for the family to take care of her husband, ailing parents and two young children. Organic farming gave an opportunity to start something with little capital, yielded quick results and enough flexibility to take care of her family also. She started with a meagre 35 cents of land but expanded her activities to two acres in the neighboring land without having to pay lease. Her day stretches from 3 a.m. in the morning to late in the night. With her indomitable spirit, hard work and keen mind she has today evolved into a very successful agriculture entrepreneur who not only grows produce but also provides value added services like catering, nursery products etc. There isn’t an area in farming that she hasn’t tried: vegetables, fish, terrace farming, aqua phonics, diary, poultry etc. She has also started a catering service and can provide food for a few people to groups as big as 650 people. The fact that she uses poison free organic products gives huge credibility to her catering service. In between she also finds time to feed her husband and parents who cannot eat by themselves. She is indeed the Queen of integrated farming and value add services. And she credits organic farming for changing their life for the better. Chandran Master believes in walking the talk. As a teacher, he did not want to restrict himself to giving advice to children; he wanted to set the right example for his students through his action. The path he took was to take up organic farming and expose his students to love nature, animals, and soil. He gives hands on experience to his students in his farm on growing paddy and vegetables without poisoning the environment and food. He has also formed a collective of Organic farmers to sell the organic products. A teacher turned K.S.R.T.C Conductor, Narayanan, has been involved in farming throughout his life. Due to the tremendous passion towards farming, he sold his land in the town and procured one acre land in a rural area. The K.S.R.T.C job helped him in sourcing high quality seeds and plants from across the state. A strong proponent of organic farming right from the start, his innovative mind came up with ingenuous solutions to the problems that he faced as a farmer- He identified and used specific local herbs to protect the crops from the attack of wild boars; he came up with a recipe of locally available herbs to protect plantains against insects; he used the rice gruel to accelerate the growth of mango tree. These are a few examples of how he has adapted locally available material to solve the farmer’s problems. He also shares his knowledge with others.